Brown For Grocery Packing Indian... Rs 44/Per Kg. 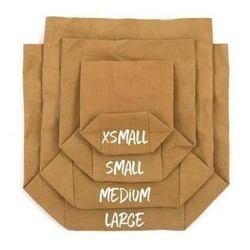 Wide range of Bags to keep food articles for restaurants , bakeries nd fast food joints. Starts from 4 , size 9x8x2 in 150 gsm.paper with handle. 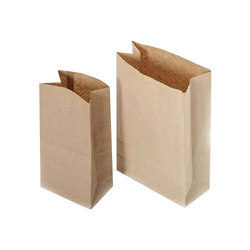 We are a trusted name engaged in offering attractive range of Crafted Paper Bags to the customers at industry leading prices. These bags are available in various specifications such as size, thickness and moisture content to cater to the varied commercial and industrial applications efficiently. Moreover, we offer customised solutions as per the exact requirements of our clients.